There will be three groups playing in this tournament, with group 1 consisting of 10 teams, including Barcelona, Celtic, Chelsea, FC Bayern Munich, Inter, Leicester City, Liverpool, Milan, Paris SG and Real Madrid. Group 2 consists of Atletico Madrid, Juventus, Melbourne Victory and Tottenham and Group 3 consists of Borussia, Manchester City, and Manchester Utd. 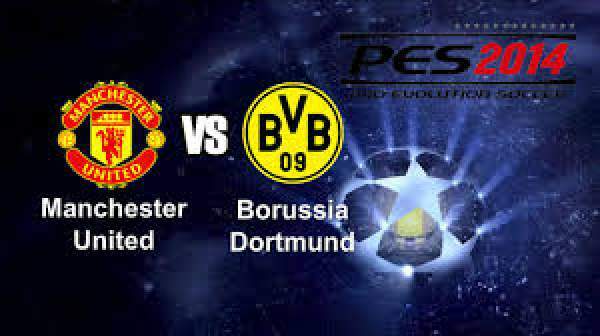 Today we have Man U playing against Dortmund at Shanghai Stadium for the game. 22nd July 2016 at 17:30(IST). Manchester United haven’t been their best in the last three seasons that they have played after the retirement of their manager Sir Alex Ferguson, who ended his 26-year career at the club. The club appointed the then Everton manager David Moyes to replace Sir Alex and United finished seventh in the 2013/14 season, and Moyes was sacked mid-season. After that Louis Van Gaal was appointed as the manager of the club who brought some great players to the club and spared no expense, with Angel Di Maria being the most expensive signing but he was a flop in that season and left the club in a most horrific manner. In that season United finished fourth after that United again invested a lot and bought Schweinsteiger, Depay and much more to the club including their young star Anthony Martial, who played very well in the 2015/16 season even though United finished fifth and Van Gaal was sacked. Now Manchester United have appointed Jose Mourinho, who has been a very decorated manager and has won many trophies in his career. Mourinho has brought some huge names to the club, Zlatan Ibrahimovic from Paris Saint-Germain, Henrikh Mkhitaryan from BorussiaDortmund and Eric Bailey from Valencia. Borussia Dortmund had an excellent season in the Bundesliga as they finished second but had to bid farewell to some of their best players like Mats Hummels signed for Bayern Munich and Henrikh Mkhitaryan signed for Manchester United. There are reports that Mario Gotze is set to make a comeback. Borussia Dortmund has some far-reaching players who can change the game single-handedly of they want to with the likes of Marco Reus and Aubameyang. Don’t forget to come back for the match result, video highlights, scorecard, and much more.